Ten years later, it doesn’t seem to matter which side killed them. Whether they were disappeared by the Army, or tortured and killed by the Maoists, the un-ending grief of the parents they left behind is the same. The only difference seems to be that some were killed because they were fighting for a cause and others were innocent civilians who had nothing to do with the conflict. 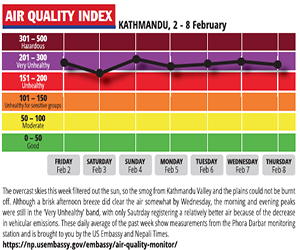 Nearly 17,000 Nepalis were killed in the ten-year war that began in February 1996 and 1,400 are still missing. Most of them were young men. Kajal Khatun was eight years old, she was travelling from Kathmandu to Birganj with her uncle when the Maoists torched their bus in Bhandar of Chitwan in February 2002. 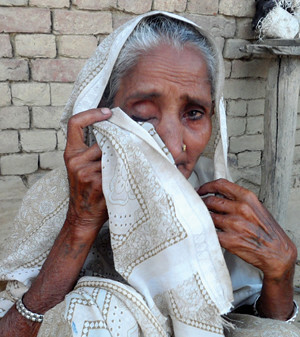 “She would have been 19 now,” says Kajal’s mother Rajita, wiping her eyes, but she has no tears left. 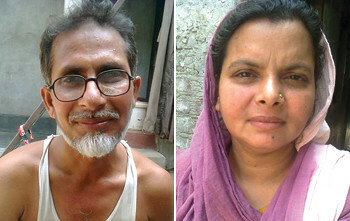 Kajal’s father Haider used to be a tailor and is now jobless. The family received no compensation. Surprisingly, neither Haider nor Rojita harbour any sense of revenge. “If the Maoists mend their ways, we might even vote for them. But it doesn’t look like they will,” says Haider. 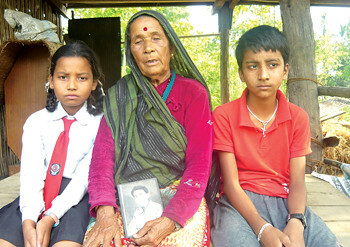 Sharada Shrestha was always smiling and because she sang well, was popular in the village even among non-Maoists. She was a member of the rebel cultural group in Chitwan and was travelling to Palpa in June 2004, when she was captured by the Army, and her body dumped into the Seti. Sharada’s father, Narayan, is 74 and tried to tell himself his daughter died for the country’s future. But he is no longer so sure. “So many Nepalis died for their country, let’s hope they don’t have to die anymore,” he says. Kailashwati Yadav was proud of her son, Sohanlal, who was respected in the entire community for his generosity. The Maoists took him away while they were having dinner. Kailashwati watched as they hacked his legs with an axe and slashed his neck with a khukuri. He was rushed to hospital, but didn’t survive. When they returned from the funeral they found the Maoists had blasted their home and captured their land. Kailashwati still looks at her son’s picture several times a day. “His soul would rest in peace if his murderers were brought to justice,” she says. The Maoists admitted they executed Sohanlal, but now say it may have been a case of mistaken identity. Arjun Chaudhary wanted to be a doctor, his sister Ramkali was a teacher in Ghorahi of Dang. Their illiterate parents, Ram Prasad and Tulasa, had great hopes for their children but didn’t know they had joined the Maoists. Ramkali was killed by the Army. And when a letter came from the party that Arjun had become a ‘martyr’, they didn’t know what the word meant. They rejoiced, thinking he had graduated. Then the Army came and detained and tortured Ram Prasad for being a father of Maoists. Ramkali used to tell her mother, “I am not just your daughter, I am the nation’s daughter.” Ram Prasad and Tulasa have constructed a chautari in the memory of their son and daughter, and now say they sacrificed their lives in vain. Chetnath and Sabitri Adhikari chant prayers all day in an ashram in Devghat of Chitwan, just to take their minds off the tragedy of war. 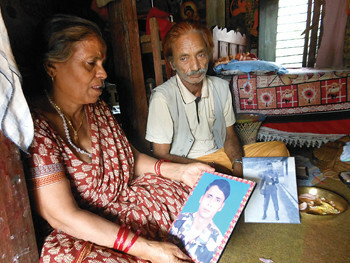 Their elder son, Dharmendra, was killed in action in Chisapani of Bardiya in 2004. 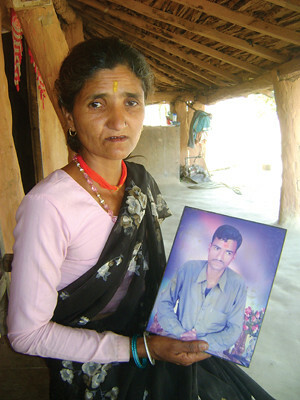 Soon after, the Maoists captured and killed their unarmed younger son, Krishna, when he had come home on leave. They knew Krishna’s killers and saw them walk around the village every day, and couldn’t take it any longer. They left their home in Bardiya and came to Devghat. All they want now is information on where Krishna’s body is so they can give him a proper funeral. With reporting by Bachhu BK in Dhangadi, Tufan Neupane in Nepalganj, Gajendra Bohra in Ghorahi, Sabita Shrestha in Narayangad, Bimmi Sharma in Birganj, Kamal Rimal in Biratnagar, Sita Mademba in Dharan and Gopal Gartaula in Birtamod.